Sacramento's Custom T-shirt Printing | Embroidery | Truck Signs "Your One Stop Logo Shop" for T-shirt Printing, Embroidery, Business Cards and Signs. We are a family owned and operated local business serving the Sacramento Carmichael area since 1999. 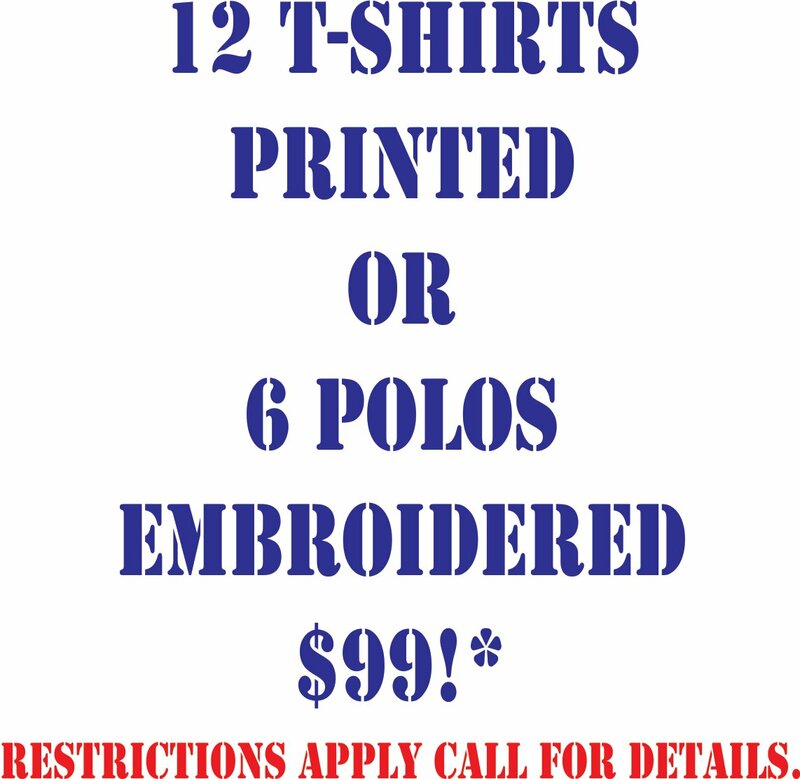 At Tshirt Pro we are proud to provide all of our services from within our store. None of our services are outsourced, with the exception of business cards, resulting in the highest quality and best prices in the local industry. We provide all of your logo needs when it comes to uniform or casual business apparel. In addition, we have an exceptional sign department that can help you design and layout everything from your store window signs to your truck fleet. Our mission at Tshirt Pro is to provide quality products in a short turnaround time for a competitive price. We are "Your One Stop Logo Shop". Located in Carmichael CA, we are a wholesale and promotional t-shirt printing company offering screenprinting, embroidery, custom - transfers and t-shirts, discharge, puff, custom size vinyl banners, decals and magnetic signs for all of Lincoln, Natomas, Rio Linda, Woodland, Winters, Dixon, Elk Grove, Galt, North Highlands, Orangevale, Carmichael, Rancho Cordova, Fair Oaks, Roseville, Rocklin, Loomis, Auburn, Folsom, Davis, Granite Bay, Eldorado Hills, Rancho Murietta, Vacaville, Fairfield, Lodi, Stockton, Napa, Vallejo, Marysville, Yuba City, Sacramento, West Sacramento, Placerville and Citrus Heights, California.